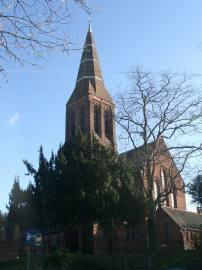 We appreciate that there are some members of our congregation who find it difficult to get to church for a morning service so on the first Thursday in April and May we will be having an afternoon Eucharist service at 2.30pm followed by afternoon tea and a chance to socialise. If you can help by offering a lift to those who find it difficult to get to church or by helping with refreshments please speak to Daphne or Pip. Fr David is away in June but, if this is popular, it will resume in July. In order to keep those who are interested in touch we have set up a emailing list so that we can remind people of events and let them know if there is anything special going on. We did not take email addresses from members of the congregation on the day, but it will be helpful if you could complete the list at the back of the church, or email us if you would like to be included on this list. For every book you bring along you can take a book away to read. If you don’t have a book to bring along you can still borrow one to get you started in return for a small donation. We will also have refreshments - tea, coffee etc - so you can sit and have a chat with old or new friends. There will be a children’s area with toys to keep them amused so you can relax. For many years we have had regular bring and buy sales in aid of local charities offering pre-loved items at reasonable prices. Starting in October 2017, this will be on the 4th Sunday of every month and will be combined with a new, extra Sunday opening time for Bookswap so that those of you who can’t come on a Thursday afternoon can still take part. Light refreshments will be available. Our current charity is The Red Box Project. St Matthew's is honoured to be hosting a Confirmation Service on 12th May. If you (or someone you know) would like to be confirmed please contact Fr David for further information and details of classes.